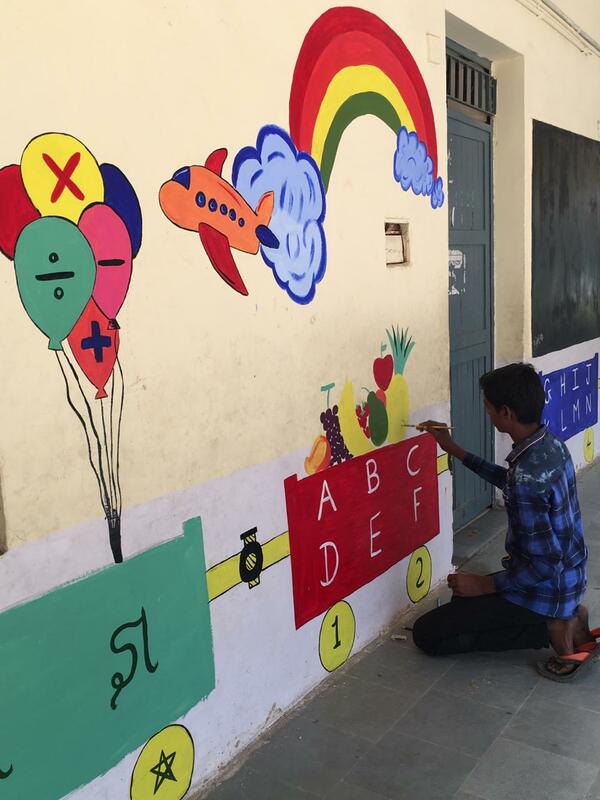 Beautiful art work done by our kids at Gulbai tekra, entire piece was drawn and coloured by them. 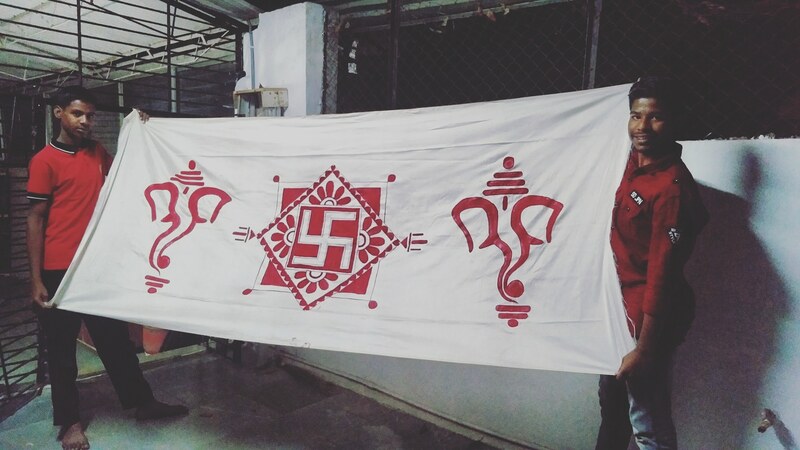 This will be used in a wedding out of India. 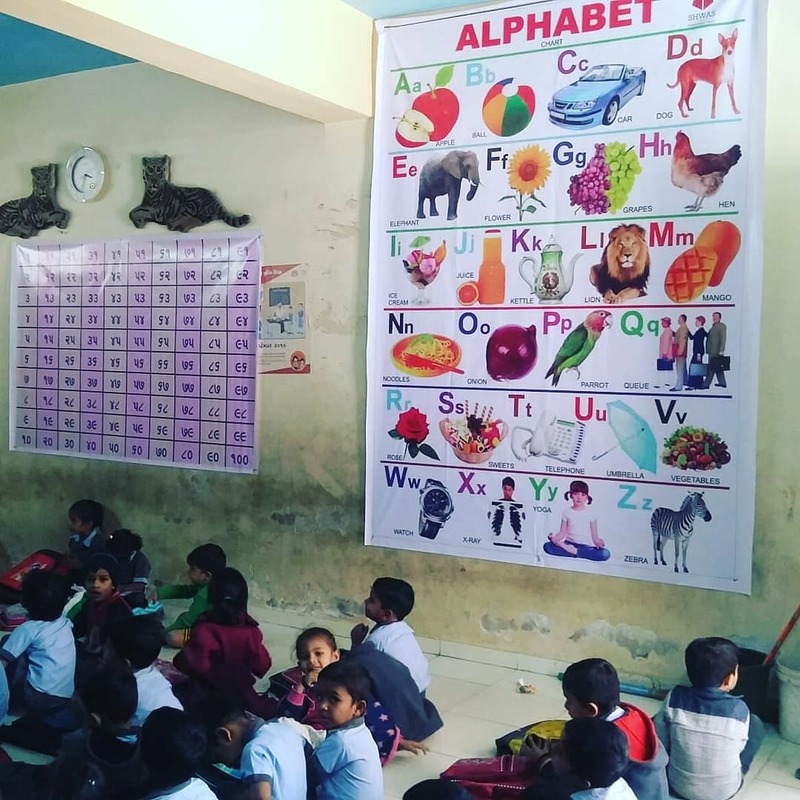 The classrooms at manav mandir school were beautified with these flex banners , which enhances the learning of kids, the kids were extremely happy to see this and learn from it everyday. 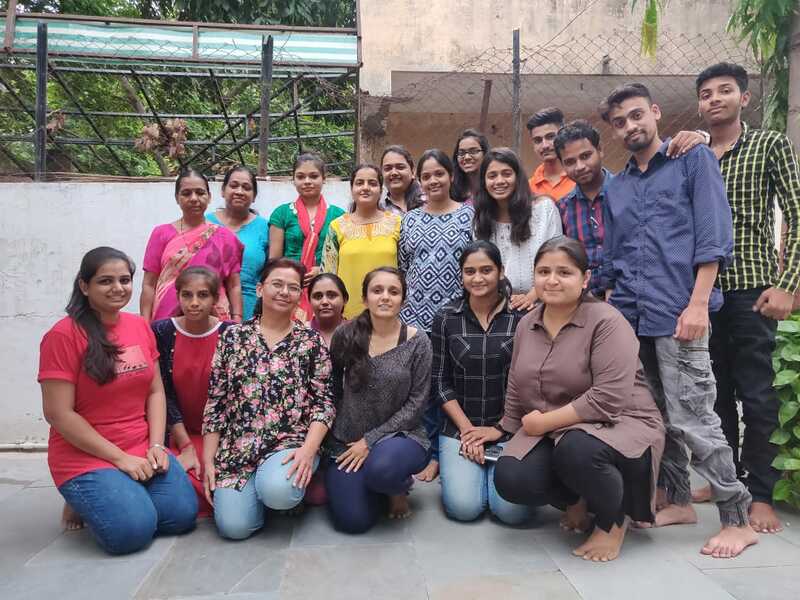 They dream and we help them achieve it.A lot of you now know Usha who did a beautician course for 6 months with the help of karmakonnectindia foundation.Today, she is very well trained and ready to have her own salon and execute what she has learned.We are very much thankful to Infostretch for supporting her with the investment of initial cost for all the products. 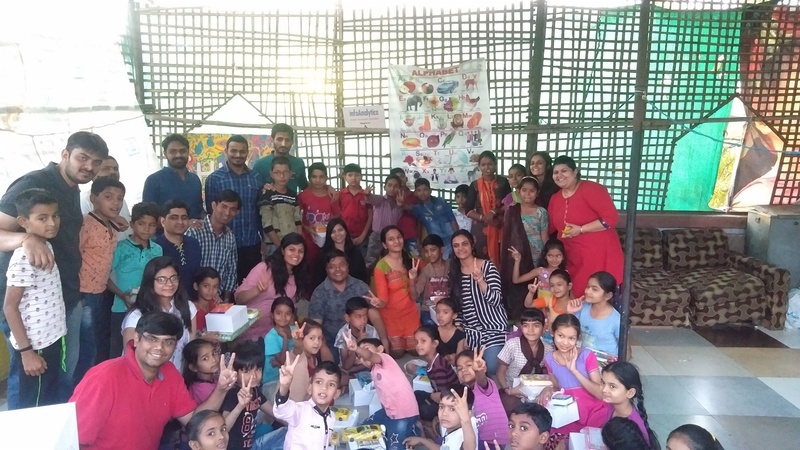 Thank you team 'Apcer life science' for spending time with our kids by playing games and distributing gifts. We are now a team of 19 teachers ctering to 9 communities. 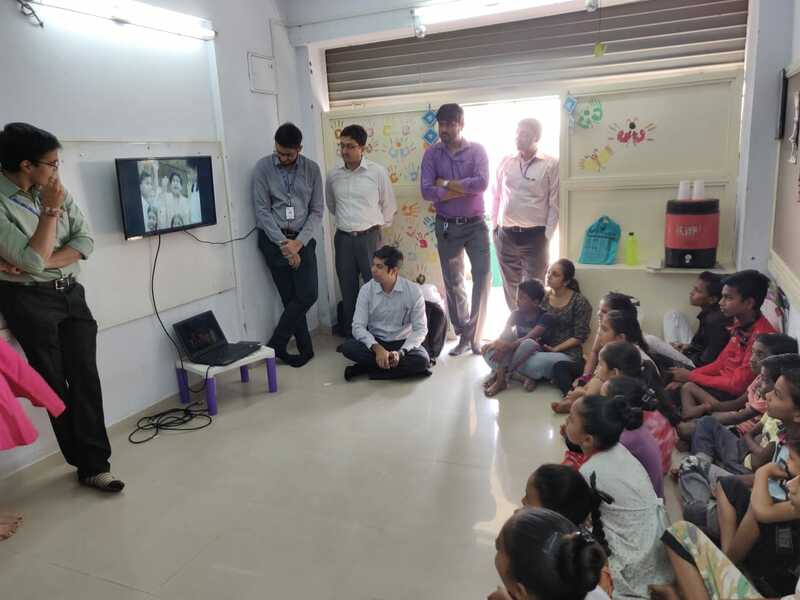 Our Shahibaug center got a new TV to educate kids through videos, stories,music. 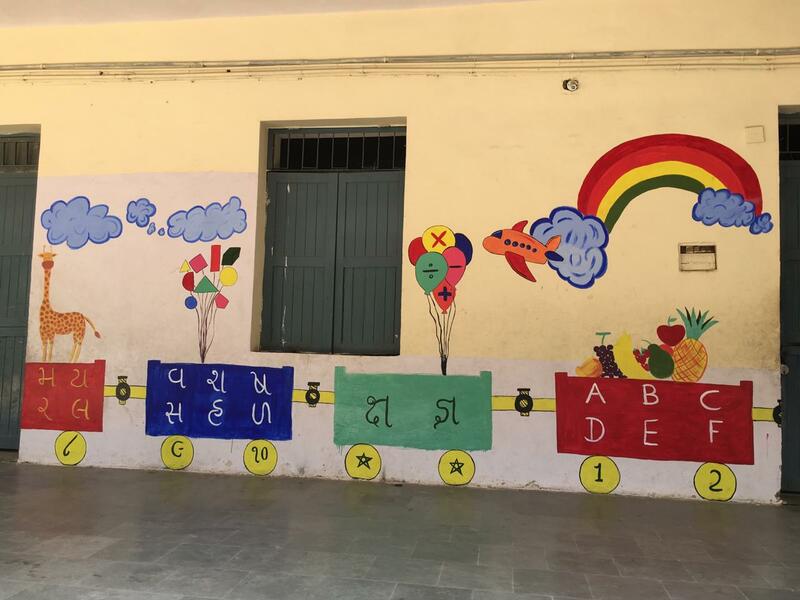 Shwas along with kids from gulbai tekra painted the entire memnagar sarvajanik school, a trust based school near manav mandir. 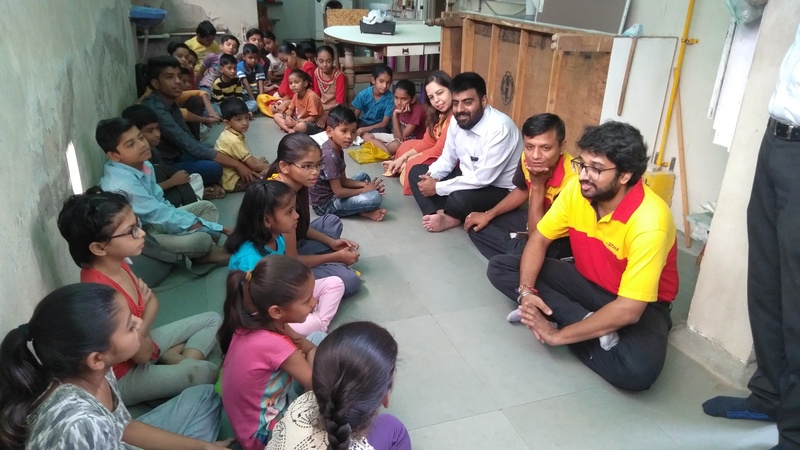 Team DHL celebrated its volunteers day with kids at Shwas with few fun games and distributing gifts. 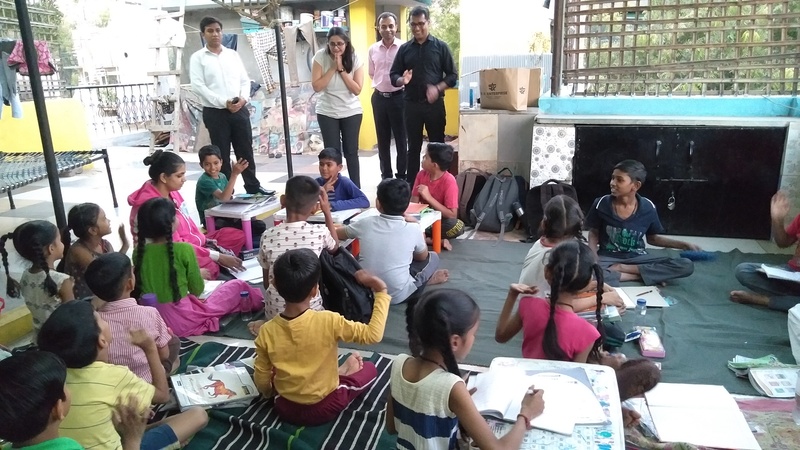 A team from novotel educated kids about hygiene and also distributed hygiene kit to our kids at ramdevnagar. 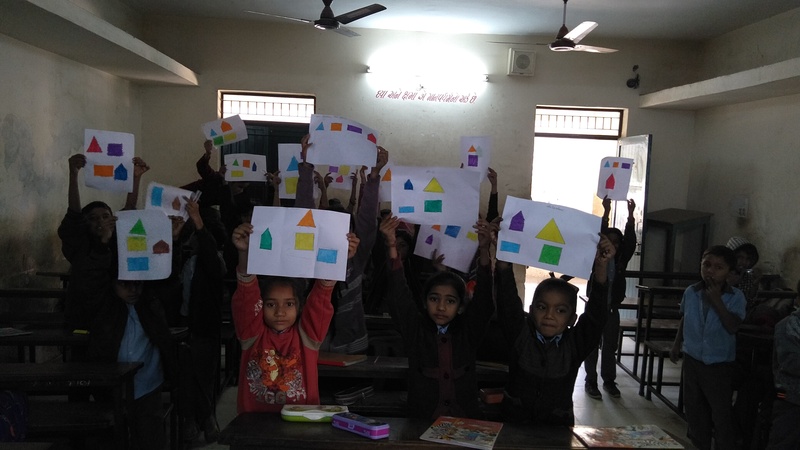 Shwas started teaching drawing and computers regularly at memnagar sarvajanik school in association with infostretch company. Shwas is not just a non profit organization. It is as it's name, a breath of fresh air.Shwas is an experience to be felt personally. Shwas is one of the most sincere, committed, consistent and focused orgainsation that we have come across. 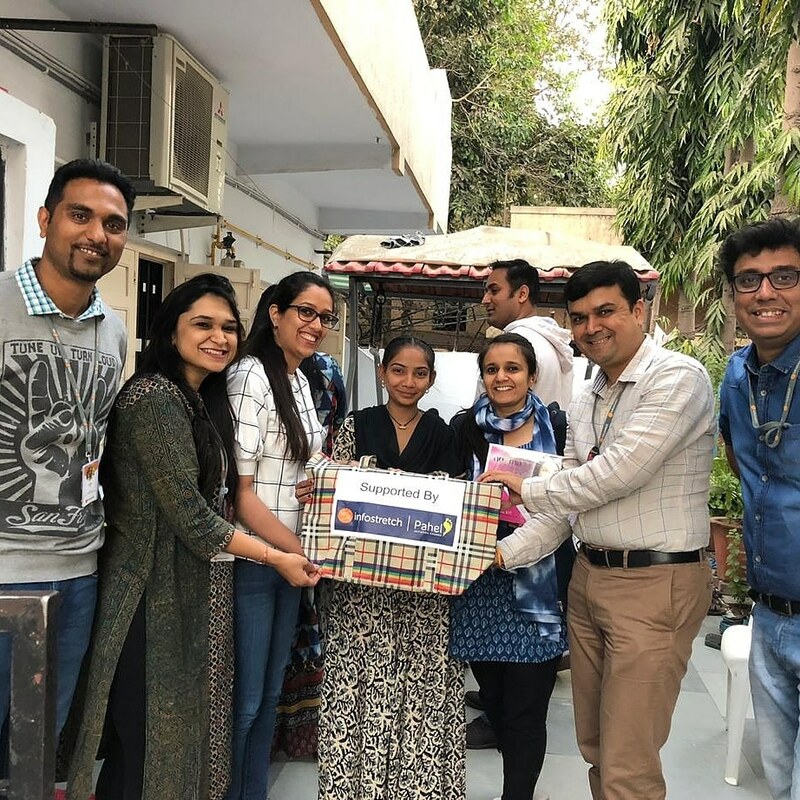 The KarmaKonnect team is happy to support Shwas- an extremely dedicated and committed team that not only educate but also nurtures and empowers slum kids across Ahmedabad, with a personal touch.